The app picked up just under 68.4 million users in tracking between January and October, Nielsen said. That's an increase of 20 percent year-over-year, placing it above the Amazon app's 65.5 million. All of the spots above Apple Music were controlled by either Facebook or Google, including apps like Gmail, Instagram, Messenger, and YouTube. 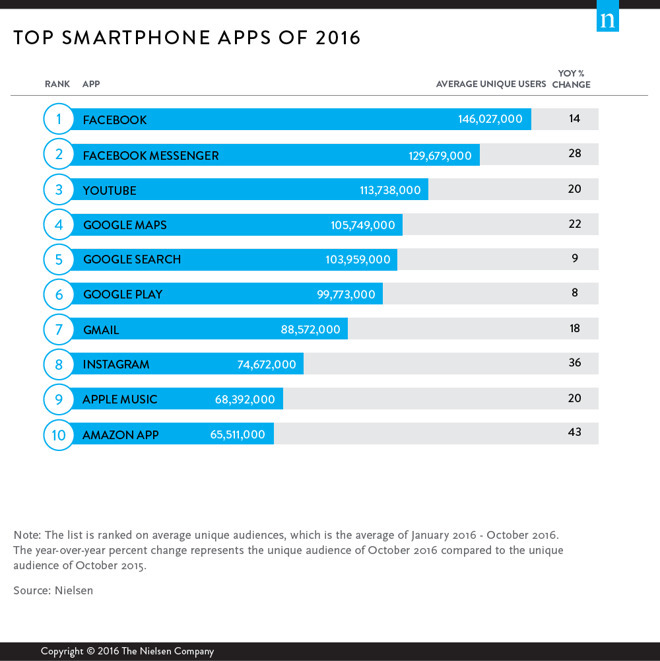 Leading the pack was the core Facebook app, with over 146 million users —up 14 percent annually. 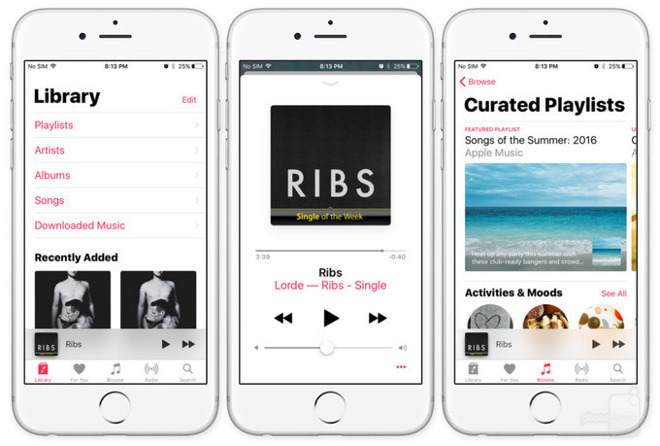 Apple Music does have a presence on both iOS and Android, but the service's global subscription base is only around 20 million. That would imply that many people are only briefly checking the app out without paying. It's installed by default on iPhones, iPads, and iPod touches, on which it also handles local music playback. 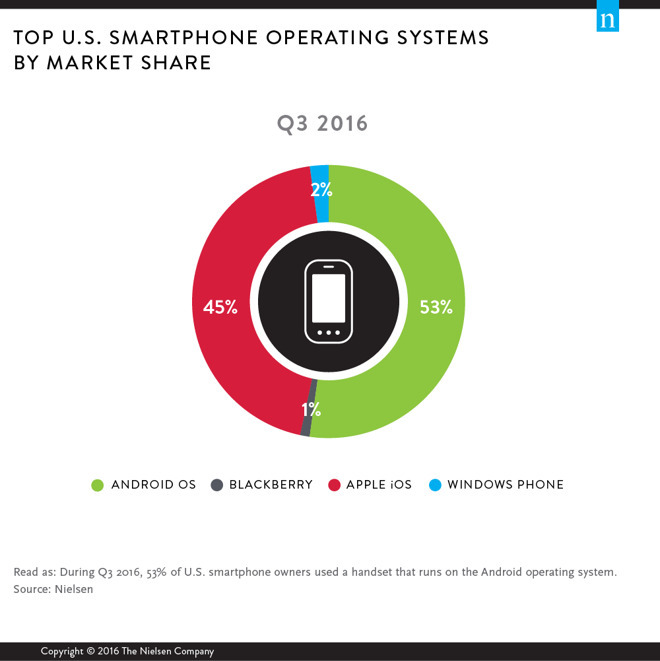 Nielsen separately said that iOS claimed 45 percent of the U.S. smartphone market by platform in the third quarter, still eclipsed by Android's 53 percent. Windows took 2 percent, while the soon-to-be-extinct BlackBerry platform managed just 1 percent.